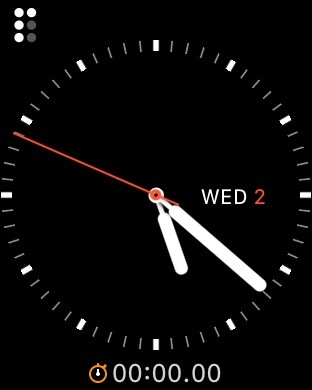 There are lots of little customizations and improvements one could imagine for the various watch faces, but the want of a combined complication for the timer and stopwatch frustrates me almost every day. There are any number of ways this could be implemented. Here are two. In the simpler version, the stopwatch complication works exactly like it does now, except that it shows the timer when the stopwatch isn’t running but a timer is running. When neither is running, it shows the 00:00 stopwatch. Conversely, the timer complication shows the stopwatch when there’s no active timer but the stopwatch is running. This would require zero interface changes and would, I think, genuinely delight users. I think this would make the watch face a hundred times more useful, and would keep me from having to switch faces so I can see my timers and stopwatches without having to look at a 00:00 all the time. With watchOS 3 it’s painless to start the stopwatch and timer from the dock or the home screen. Bonus: I sometimes wonder why stopwatch timer, and alarm aren’t rolled into one app. They have this inherent complication synergy, but even the apps could be combined (just let the user swipe left to right between the three screens) and having two orange dots fewer on the home screen would be a win. The Apple Watch 2 has (1) a faster processor, (2) waterproofing, and (3) a much brighter display. The first is an unquestionable win. The first watch screams out for a faster processor. Even with watchOS 3 simple apps like Streaks are slow to launch and slow to react. The waterproofing seems less essential. The original watch is pretty well water resistant. However, I’ve found that swimming (and even showering) with it tends to trigger screen activations and taps, so it’s better to take it off for swimming anyway (though I wonder whether this was fixed on the new hardware?). The brighter display seems totally unnecessary. I have my original Apple Watch screen on its dimmest setting, and I never have trouble seeing it, even in direct sunlight. 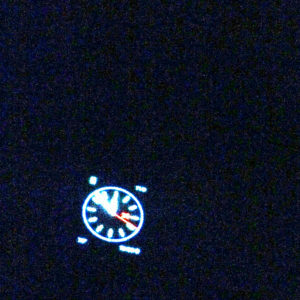 In fact, the main problem I have with the display is when I accidentally trigger it at night: it’s too bright. 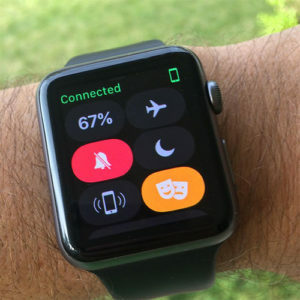 Actually, the one feature I was most expecting from Apple Watch 2 was an ambient light sensor. This is what allows the screen on an iPhone to automatically adjust its brightness so it’s always readable but not blinding. In day-to-day use, the constant screen brightness is one of the few things that keeps the watch from feeling completely natural and refined. Perhaps the next watch will have an ambient light sensor incorporated directly into the display. In the patent, there are a few configurations through which Apple could execute the technology. One showcases the light sensors — which help the iPhone detect the ambient light in a room or outside — integrated directly above the touch-sensitive layer of the display (figure 6), while another has the sensor placed next to the touch-sensitive layer without intersecting it (figure 9).